At Groundswell, we believe in approaching our work with a spirit of service--and service means respect. Black History Month is about recognizing not only the history made, but the history in the making. In honor of this month of reflection, reverence, and respect, we're excited to highlight the incredible achievements--both past and present--that African-Americans have made (and are making) in the world of environmentalism, clean energy, sustainability, and environmental justice. In that spirit, we’ve been highlighting key African-American contributors to that movement across our social media platforms. Below are 28 African-Americans who have changed the world with their contributions to environmentalism and sustainability. 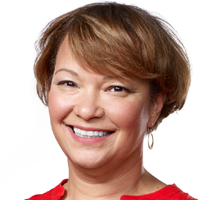 Lisa Jackson is Apple’s vice president of Environment, Policy and Social Initiatives. She oversees Apple's efforts to minimize its impact on the environment by addressing climate change through renewable energy and energy efficiency, using greener materials, and inventing new ways to conserve precious resources. From 2009 to 2013, Lisa served as Administrator of the U.S. Environmental Protection Agency. Appointed by President Barack Obama, she focused on reducing greenhouse gases, protecting air and water quality, preventing exposure to toxic contamination, and expanding outreach to communities on environmental issues. She was the first black woman to hold that position. Dianne Glave is Coordinator of Diversity Development with the Western Pennsylvania United Methodist Church Conference Center. Dr. Glave, who has an M.A. and Ph.D. in History with an emphasis on African American and environmental history, is the author of Rooted in the Earth: Reclaiming the African American Environmental Heritage and the co-editor of To Love the Wind and the Rain: African American Environmental History. 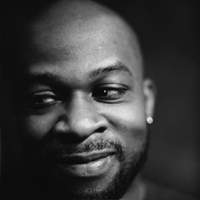 Marc Bamuthi Joseph is a spoken-word poet, dancer, and playwright who frequently directs stand alone hip-hop theater plays. His works include Word Becomes Flesh, De/Cipher and No Man's Land. In 2012, he wrote the play “red, black & GREEN: a blues,” which, through song, dance, spoken word and visual imagery, explores the role of environmentalism in communities where solar panels seem trivial in the face of violence and dead-end schools. Ms. O'Leary served as an Assistant Attorney General and Assistant Prosecutor in the state of New Jersey and was appointed to the Federal Energy Administration under President Gerald Ford and to the United States Department of Energy under President Jimmy Carter. In 1989, she became Executive Vice President for Environmental and Public Affairs for the Minnesota Northern States Power Company and in 1992 she was promoted to President of the holding company's gas distribution subsidiary. 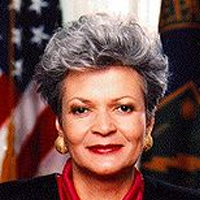 Ms. O'Leary served as the United States Secretary of Energy from 1993 to 1997 and as President and Chief Operating Officer for the investment banking firm Blaylock and Partners in New York from 2000 to 2002. 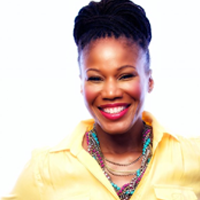 Majora Carter is a Peabody Award-winning broadcaster & visionary voice in city planning who views urban renewal through an environmental lens. The South Bronx native draws a direct connection between ecological, economic and social degradation. Hence her motto: "Green the ghetto!" 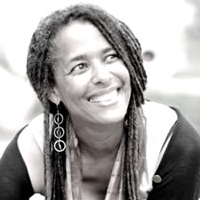 In 2001, she founded the non-profit environmental justice solutions corporation Sustainable South Bronx, which brought the South Bronx its first waterfront park in 60 years. 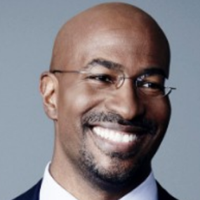 Van Jones is the Founder and President of Green for All. In 2009, Jones worked as the green jobs advisor to President Barack Obama. In this role, Jones helped to lead the inter-agency process that oversaw the multi-billion dollar investment in skills training and jobs development within the environmental and green energy sectors. He is the author of two New York Timesbest-selling books, The Green Collar Economy (2008) and Rebuild the Dream (2012). The second book chronicles his journey as an environmental and human rights activist to becoming a White House policy advisor. He was the main advocate for the Green Jobs Act. Signed into law by George W. Bush in 2007, the Green Jobs Act was the first piece of federal legislation to codify the term “green jobs.” During the Obama Administration, the legislation has resulted in $500 million in national funding for green jobs training. 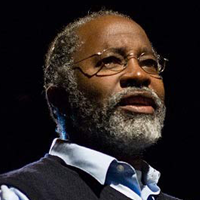 Carl Anthony co-founded the environmental justice non-profit organization Race, Poverty and the Environment in 1990. 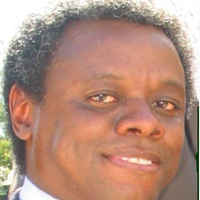 Anthony founded the San Francisco-based Urban Habitat in 1989. The organization has helped to expand the agenda of the environmental movement to include issues of public transportation, housing, health, economic stabilization, and access to parks and open space. On Earth Day in 1990, Anthony published the first issue of the Race/Poverty/Environment newsletter, a publication that explores the relationship between socioeconomic and environmental concerns, such as the siting of toxic waste dumps in poor communities of color. From 1992 to 1995, Anthony organized and chaired EDGE, an alliance of environmental and social justice organizations, institutions that historically have not been aligned and have even been seen to have an oppositional relationship. “It’s great to say, ‘Recycle aluminum,’” says Anthony, “but what about the people we’re throwing away?” Though EDGE no longer operates as a formal alliance, Urban Habitat continues to play a leadership role in fostering dialogue between the sectors and identifying common ground for collaboration. 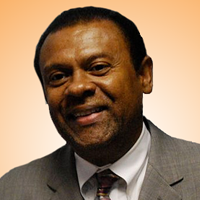 Robert D. Bullard is Distinguished Professor of Urban Planning and Environmental Policy in the Barbara Jordan-Mickey Leland School of Public Affairs at Texas Southern University in Houston, Texas. He is often described as the father of environmental justice. Professor Bullard received his Ph.D. degree from Iowa State University. He is the author of seventeen books that address sustainable development, environmental racism, urban land use, industrial facility siting, community reinvestment, housing, transportation, climate justice, emergency response, smart growth, and regional equity. Raised in one of the most preeminent black families in the South, Betsch is the daughter of Mary and John Betsch, and the great-granddaughter Abraham Lincoln Lewis, who founded Florida’s oldest African-American beach. Since 1975, Betsch made it her full-time mission to preserve and protect American Beach, her great-grandfather’s investment, from development and destruction. 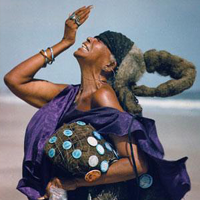 She was famously named “Beach Lady,” for her many efforts and dedication to the beach and its inhabitants. ‘Beach Lady’ gave her life savings, some $750,000, to sixty environmental organizations and causes, ten of which she was a lifetime member, and most of them involved animals. Even after being diagnosed with cancer in the 2002, which caused the removal of her stomach, ‘Beach Lady’ continued working hard for causes that benefitted others. She developed plans for the American Beach Museum, which contains the history of American Beach, the town where she lived many of the years of her life. The museum opened in 2014, 9 years after her death in 2005. Warren M. Washington is an American atmospheric scientist, a former chair of the National Science Board, and currently senior scientist at the National Center for Atmospheric Research in Boulder, Colorado. Dr. Washington became one of the first developers of groundbreaking atmospheric computer models in collaboration with Akira Kasahara when he came to NCAR in the early 1960s. These models, which use fundamental laws of physics to predict future states of the atmosphere, have helped scientists understand climate change. As his research developed, Washington worked to incorporate the oceans and sea ice into climate models. Such models now include components that depict surface hydrology and vegetation as well as the atmosphere, oceans, and sea ice. 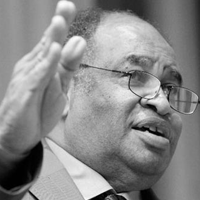 Norris McDonald is the founder and president of the African American Environmentalist Association and the Center for Environment, Commerce & Energy. The AAEA, founded in 1985, is one of the nation’s oldest African American-led environmental organizations. It’s dedicated to protecting the environment, enhancing human, animal, and plant ecologies, promoting the efficient use of natural resources, and increasing African American participation in the environmental movement. Nikki Silvestri is an advocate and strategist for climate solutions and healthy food systems. She is the former Executive Director of Green for All, a national environmental organization working to build a more inclusive, healthy, and sustainable economy. Prior to joining Green For All, she served as Executive Director of People’s Grocery in Oakland, where she led efforts to cultivate economic development and public health initiatives within the food sector. 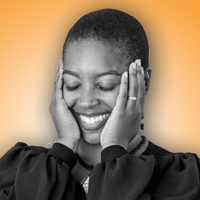 She holds a Master’s Degree in African American Studies from UCLA, and is originally from Los Angeles. Omar Freilla is an environmental justice activist, and cooperative developer. Raised in the South Bronx, Freilla is passionate about creating a green and democratic economy. He is nationally recognized as a leading voice for worker ownership, green jobs, and environmental justice and is founder & coordinator of Green Worker Cooperatives, an organization dedicated to incubating green and worker-owned businesses in the South Bronx. 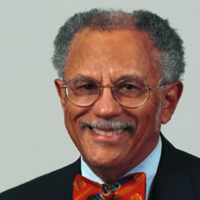 He holds a master’s degree in environmental science from Miami University of Ohio and a bachelor of science degree from Morehouse College, where he founded the organization Black Men for the Eradication of Sexism. In the early 1970s John Francis gave up using motorized vehicles after witnessing the devastating effects of an oil spill in San Francisco Bay. Soon afterwards he took an even more radical step: a vow of silence that lasted 17 years, during which he undertook a pilgrimage by foot across America on behalf of the environment and world peace, earning a Ph.D. in environmental studies along the way. Through his silence and walking, he learned to truly listen, both to other people and the world around him. Since ending his silence in 1990, Francis has served as a goodwill ambassador for the United Nations Environmental Program, contributed to the U.S. Coast Guard’s Oil Pollution Act of 1990, rewriting transportation regulations in the wake of the Exxon Valdez spill, and founded Planetwalk, a nonprofit environmental education organization. He relates the experience of his quiet protest in his book Planetwalker: 22 Years of Walking. 17 Years of Silence. In March 2011,National Geographic published his second book, The Ragged Edge of Silence: Finding Peace in a Noisy World. 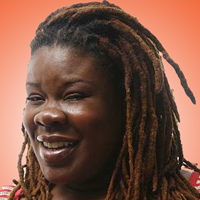 Inspired by her experiences as a single working mother living in a marginalized community, Tanya Fields founded the BLK ProjeK in 2009 as a response to sexist institutional policies, structurally reinforced cycles of poverty, and harsh inequities in wealth and access to capital that result in far too many women being unable to rise out of poverty and sustain their families. The group was nominated for a 2011 Union Square Award and Tanya has the honor of being a Green for All Fellow, through which she connects with a national cohort of environmental justice change agents. Kari Fulton is the National Campus Campaign Coordinator for the Environmental Justice and Climate Change Initiative. She also founded Checktheweather.tvan online community that helps young people of color advocate for environmental justice. Fulton works to support and mobilize diverse youth and organizations by building awareness of the connection between environmental and social justice issues. 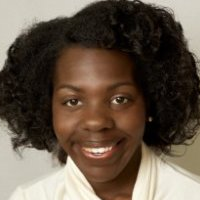 Noted as a young leader to watch by Elle and Glamour magazine, Fulton was a member of the planning committee for both Power Shift 2007 and Power Shift 2009 the largest youth summits and lobby days on climate in US history. Ibrahim Abdul-Matin is author of the book, Green Deen: What Islam Teaches About Protecting the Planet. For the past 10 years, Ibrahim has been a passionate voice for transforming our pollution-based way of life to one that prioritizes our planet and its people. Ibrahim's dedication to the environment is rooted in his Deen -- his religion of Islam. Ibrahim is an environmental policy consultant and has worked with Green for All, Green City Force, Interfaith Leaders for Environmental Justice, the Prospect Park Alliance and the New York City Mayor's Office of Long Term Planning & Sustainability. His writing has appeared in The Washington Post, CNN.com, The Daily Beast, GOOD Magazine, ColorLines, Wiretap and Elan Magazine. 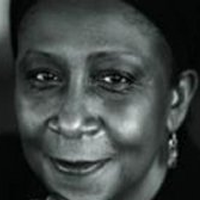 Rose M. Brewer is a professor of Afro American and African Studies at the University of Minnesota-Twin Cities. She has published dozens of journal articles and book chapters on environmental racism, the prison-industrial complex, black feminism, and other complex, intersectional issues. She has said that her work in environmental justice is “deeply connected to an African-rooted value system.” She is currently the chair of the board of Environmental Justice Advocates of Minnesota, a group of activists and community leaders dedicated to supporting fair and sustainable local economies that promote access to safe environments for everyone. 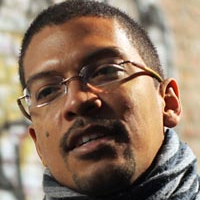 Brewer was involved in organizing the Black Environmental Thought conference in Minneapolis in 2012. 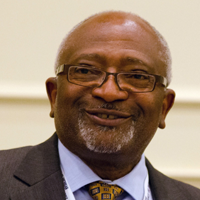 Dr. Nicky Sheats is currently the director of the Center for the Urban Environment at the John S. Watson Institute for Public Policy of Thomas Edison Sate College where he has defined the primary mission of the Center as providing support for New Jersey’s environmental justice community. He has also been a member of the New Jersey Environmental Justice Alliance, New Jersey’s only statewide environmental organization that focuses solely on environmental justice (EJ) issues, since its inception in 2003. Among the issues he is working on are particulate matter air pollution, climate change, cumulative risk and impacts, developing environmental justice legal strategies and increasing the capacity of the EJ community to address these and other issues. Since 1985 Karen has been a community activist, striving to make New York City a better place to live. As a community gardener and board member of the New York Botanical Gardens, Karen worked with Bronx neighborhoods to turn empty lots into community gardens. As an advocate, she stood up and spoken out for garden protection and preservation. As a member of the La Familia Verde Community Garden Coalition, she helped launched a City Farms Market, bringing garden fresh vegetables to her neighbors. Karen is a Just Food board member and Just Food Trainer, leading workshops on food growing and food justice for community gardeners all over the city. Karen is a board member and former president of the New York City Community Garden Coalition, a group that was founded to preserve community gardens. 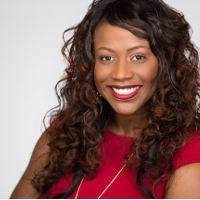 She also co-founded Black Urban Growers (BUGS), an organization of volunteers committed to building networks and community support for growers in both urban and rural settings. In 2012 Ebony magazine voted her one of their 100 most influential African Americans in the country, and in 2014 she was awarded with the James Beard Leadership Award. 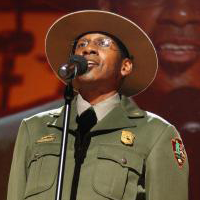 Shelton Johnson, a native of Detroit, Michigan, has worked as a U.S. Park Ranger since 1987. His work assignments have included Yosemite National Park, Great Basin National Park, Yellowstone National Park, and park areas within and around Washington D.C. He served with the Peace Corps in Liberia, West Africa, and attended Graduate School at the University of Michigan, majoring in Poetry. 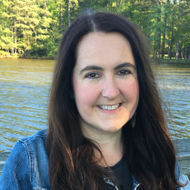 Shelton has won several writing awards, including a Roy W. Cowden Memorial Fellowship, a Scholarship to the Cranbrook Writer’s Conference, a Michael Gutterman Award, and a Major Hopwood Award in Poetry, all from the University of Michigan. 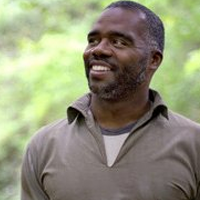 Ranger Johnson has been profiled in Dudley Edmondson’s Black and Brown Faces in America’s Wild Places (2006), a book of interviews with people of color who have chosen careers in the outdoors. He has also been profiled in the University of Michigan’s Minority Environmental Leadership Development Initiative (MELDI) website under the School of Natural Resources and Environment. As Senior Vice President of the U.S. Green Building Council, Kimberly works to integrate, diversify and globalize USGBC’s community of volunteers, chapters and emerging professionals from around the world. She is also the driving force behind USGBC’s events, including its annual Greenbuild International Conference and Expo, the world’s largest conference and expo dedicated to green building. 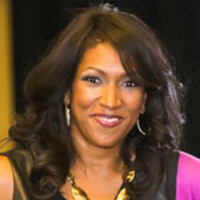 Kimberly serves on the advisory boards of Starwood Hotels, Marriott International Hotels and convention and visitors bureaus in New Orleans. She is a member of the International Association of Exhibitions and Events (IAEE), the Green Meeting Industry Council (GMIC) and the Professional Convention Management Association (PCMA), where she serves on the CSR Task Force. Committed to healthy communities and equitable access to green building regardless of income level, Kimberly has been recognized with numerous awards. In April 2011, Kimberly received prestigious recognition as the White House Champion of Change for Clean Energy. 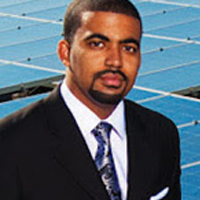 In 2009, Mark Davis founded the solar energy company, WDC Solar—responsible for the first African-American owned solar manufacturing plant in the United States, located in the historic Anacostia neighborhood in Washington, D.C. Davis says he got into solar power because he cared about the environment and felt it was simply the right thing to do. The power of clean energy to help humans became very clear to him in 2010, after a devastating earthquake hit Haiti. His company, WDC Solar, worked with ARCH trainees to put together “solar suitcases” with portable electrical systems that could be used to power orphanages, hospitals, and other critical facilities in the wake of the disaster. Gilbert Campbell III is the co-founder and CEO of Volt Energy, a solar development firm. 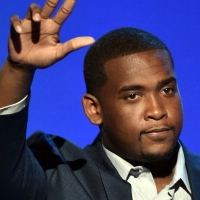 A Howard University graduate, he is committed to championing STEM education throughout the country. Under Gilbert’s leadership, Volt Energy is largely recognized as an emerging national renewable energy development firm. 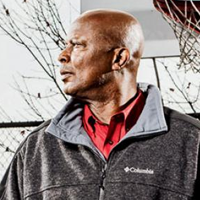 Volt is a 2014 recipient of Amtrak and The Washington Wizards Pioneer Award, honoring companies that have made a positive impact in their community. Volt has also been recognized by Black Enterprise Magazine for outstanding achievement as a small business and was nominated for Black Enterprise’s 2011 Small Business of The Year award. Volt Energy's notable clients include: Fort Bragg, Wake Forest University, and KIPP DC. Denzel Thompson helped to co-found Philadelphia Urban Creators, a youth organization dedicated to urban agriculture as a means of community development. In his early teens, Denzel went to New Orleans to help people affected by Hurricane Katrina. During that trip, Denzel learned to build greenhouses and change vacant lots into urban gardens. He wanted to do something similar in his own community so when he was only 14 years old, he and six other teenagers founded the Philadelphia Urban Creators (PUC) in 2010. The PUC members worked together to find land they were allowed to use. Then they cleaned it up and started a garden. It took a lot of hard work from friends and volunteers. After about four years, fresh organic produce was growing where there once were empty lots. Today, the PUC grows a large variety of vegetables, fruits, and herbs. 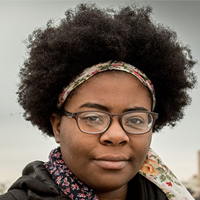 Destiny Watford won the 2016 Goldman Environmental Prize—the most prestigious prize in environmentalism—after she led efforts to organize residents of a Baltimore neighborhood to defeat plans to build the nation’s largest trash-burning incinerator less than a mile away from her high school. 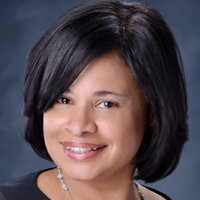 Felicia M. Davis, directs the Building Green Initiative housed at Clark Atlanta University within the Atlanta University Center-the largest consortium of historically black colleges and universities in the nation. Created by UNCF, the program advances green building and other sustainability efforts at historically black, Hispanic-serving and tribal colleges and universities. Davis is committed to helping Black colleges and other special mission institutions make the transition to a more environmentally and economically sustainable future. She managed the 2014 UNCF/Toyota sponsored Green Ambassador program with student green ambassadors on 27 HBCU campuses. A staunch advocate for measurable reductions in greenhouse gas emissions through energy efficiency retrofits, green building and an array of sustainable practices, creating an HBCU Green Fund is among her highest priorities. 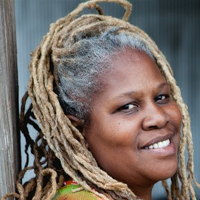 Carolyn Finney, Ph.D. is a writer, performer and cultural geographer. She is the author of Black Faces, White Spaces: Reimagining the Relationship of African Americans to the Great Outdoors, released in 2014. As a professor in Geography at the University of Kentucky, she is deeply interested in issues related to identity, difference, creativity, and resilience. In particular, she explores how issues of difference impacts participation in decision-making processes designed to address environmental issues. The aim of her work is to develop greater cultural competency within environmental organizations and institutions, challenge media outlets on their representation of difference, and increase awareness of how privilege shapes who gets to speak to environmental issues and determine policy and action.